One of them is sending SMS messages right from the tablet via the updated BlackBerry Bridge. It’s been optimized and as a result runs faster than before. Another neat, and rather overdue addition is that the email, contacts and calendar apps got portrait mode support. Additionally, the support for Android apps is further enhanced with multi-window applications for better multitasking, as well as added camera support and even in-app purchases. Business users haven’t been ignored in this update either, and there are ton of new features for them including improvements for the Print to Go app, better folder and sync management, streamlined setup for better software update experience and more. 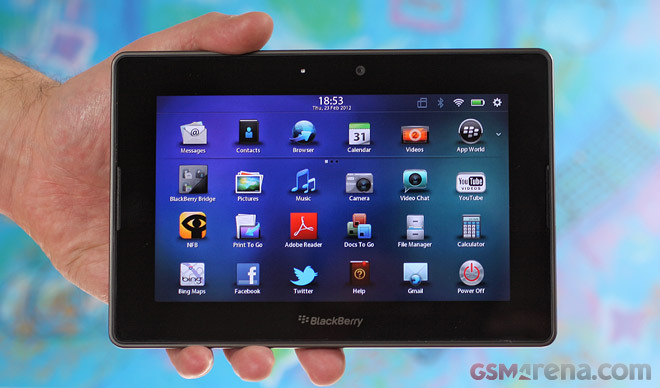 The update is currently available for the Wi-Fi versions of the PlayBook, while the 4G LTE units will get it next month, when it gets carrier approval.